Best-selling author and historian Sarah Vowell, who puts her own twist on the American story, promises to entertain as well as educate when she speaks at Indiana State University at 7 p.m. Feb. 8. 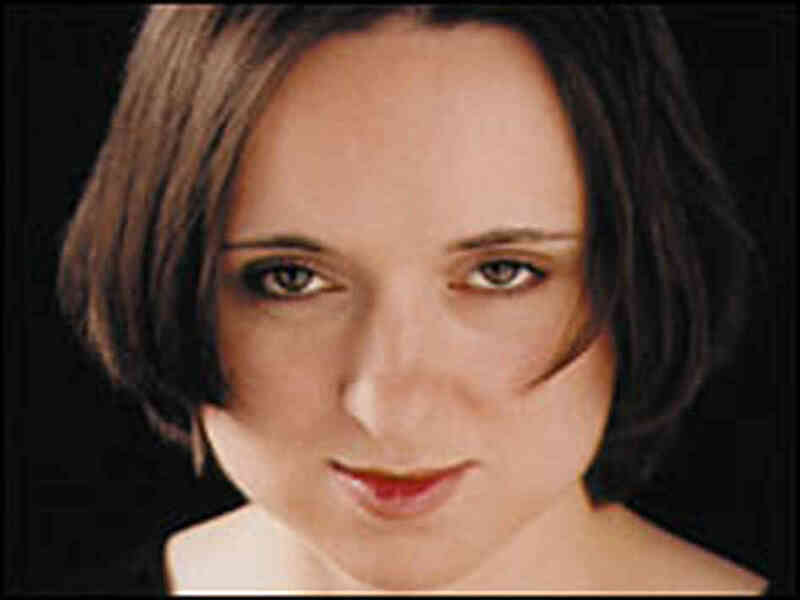 Sarah Vowell is the New York Times' bestselling author of six nonfiction books on American history and culture. By examining the connections between the American past and present, she offers personal, often humorous accounts of everything from presidents and their assassins to colonial religious fanatics, as well as thoughts on American Indians, utopian dreamers, pop music and the odd cranky cartographer. Her appearance at Indiana State's Tilson Auditorium, part of the University Speakers Series, is free and open to the public. Vowell's latest book, "Lafayette in the Somewhat United States," offers an insightful and unconventional account of George Washington's trusted officer and friend, the Marquis de Lafayette. Chronicling the French aristocrat's years as a general in Washington's army, Vowell reflects on the ideals of the American Revolution versus the reality of the Revolutionary War. She swerves from the high-minded debates of Independence Hall to the frozen wasteland of Valley Forge, from bloody battlefields to the Palace of Versailles, bumping into John Adams, Thomas Jefferson, Lord Cornwallis, Benjamin Franklin, Marie Antoinette and various kings, Quakers and redcoats along the way. While Vowell's yarn is full of the bickering and infighting that marks the American past-and present-her telling of the Revolution is just as much a story of friendship: between Washington and Lafayette, between the Americans and their French allies and, most of all between Lafayette and the American people. Coinciding with one of the most contentious presidential elections in American history, Vowell lingers over the elderly Lafayette's sentimental return tour of America in 1824, when three-fourths of the population of New York City turned out to welcome him ashore. A walking, talking reminder of the sacrifices and bravery of the revolutionary generation and what the founders hoped this country could be, Lafayette's return was not just a reunion with his beloved Americans it was a reunion for Americans with their own astonishing, singular past. Her book, "Unfamiliar Fishes," is the intriguing history of our 50th state, Hawaii, annexed in 1898. Replete with a cast of beguiling and often tragic characters, including an overthrown Hawaiian queen, whalers, missionaries, sugar barons, Teddy Roosevelt and assorted con men, "Unfamiliar Fishes" is another history lesson in Americana as only Vowell can tell it - with brainy wit and droll humor. "The Wordy Shipmates" examines the New England Puritans and their journey to and impact on America. She studies John Winthrop's 1630 sermon "A Model of Christian Charity" and the bloody story that resulted from American exceptionalism. She also traces the relationship of Winthrop, Massachusetts' first governor, and Roger Williams, the Calvinist minister who founded Rhode Island - an unlikely friendship that was emblematic of the polar extremes of the American foundation. Throughout she reveals how American history can show up in the most unexpected places in our modern culture, often in poignant ways. Her book "Assassination Vacation" is a haunting and surprisingly hilarious road trip to tourist sites devoted to the murders of presidents Lincoln, Garfield and McKinley. Vowell examines what these acts of political violence reveal about our national character and our contemporary society. She is also the author of two essay collections, "The Partly Cloudy Patriot" and "Take the Cannoli". Her first book, "Radio On," is her year-long diary of listening to the radio in 1995. Vowell was a contributing editor for the public radio show "This American Life" from 1996-2008, where she produced numerous commentaries and documentaries and toured the country in many of the program's live shows. She was one of the original contributors to the Internet portal McSweeney's, also participating in many of the quarterly's readings and shows. She has been a columnist for Salon. com, Time and San Francisco Weekly and continues to write occasional essays for the opinion page of the New York Times. Vowell has made numerous appearances on the "Late Show with David Letterman," "Late Night with Conan O'Brien" and the "The Daily Show with Jon Stewart." She is the voice of teen superhero Violet Parr in Brad Bird's Academy Award-winning "The Incredibles," a Pixar Animation Studios film. She is the president of the board of 826NYC, a nonprofit tutoring and writing center for students aged 6-18 in Brooklyn. Best-selling author and historian Sarah Vowell, who puts her own twist on the American story, promises to entertain as well as educate when she speaks at Indiana State University Feb. 8.